I find that it’s easier to eat well in summertime (even though it’s still spring), because you don’t crave warm, comfort food as much. Now that it’s getting warmer what helps me to stay on track is to pre-prepare food so that it’s easily accessible, just like junk food is. 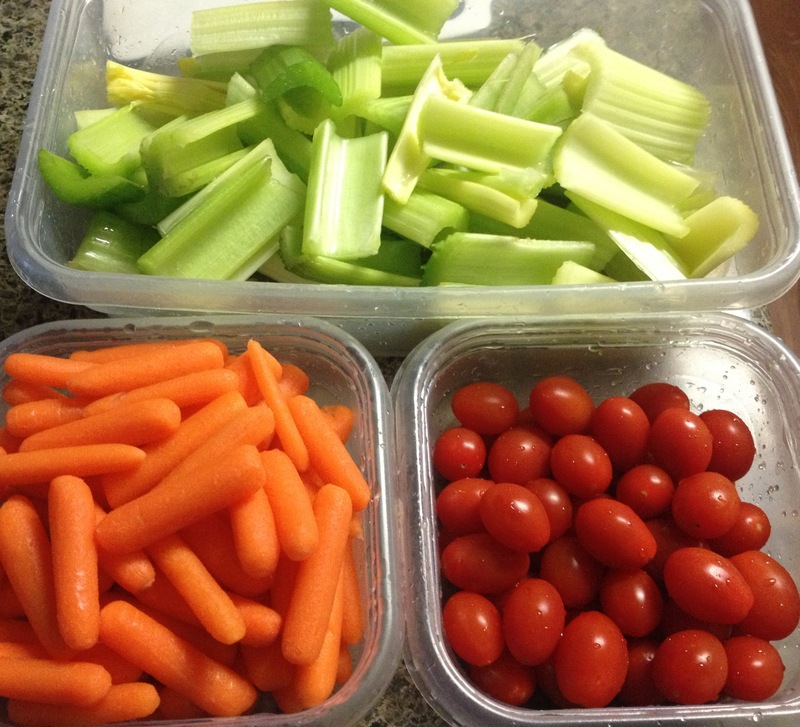 At the beginning of the week I wash and prep grape tomatoes, baby carrots, and celery sticks and put them in Tupperware containers. Doing things like that really helps because when you get hungry you can easily just go to the fridge and get these snacks, instead of looking for junk. I LOVE grape tomatoes especially, they are so good! All three of these are full of vitamins too like vitamin A and C, as well as magnesium, folate, phosphorous and fiber. 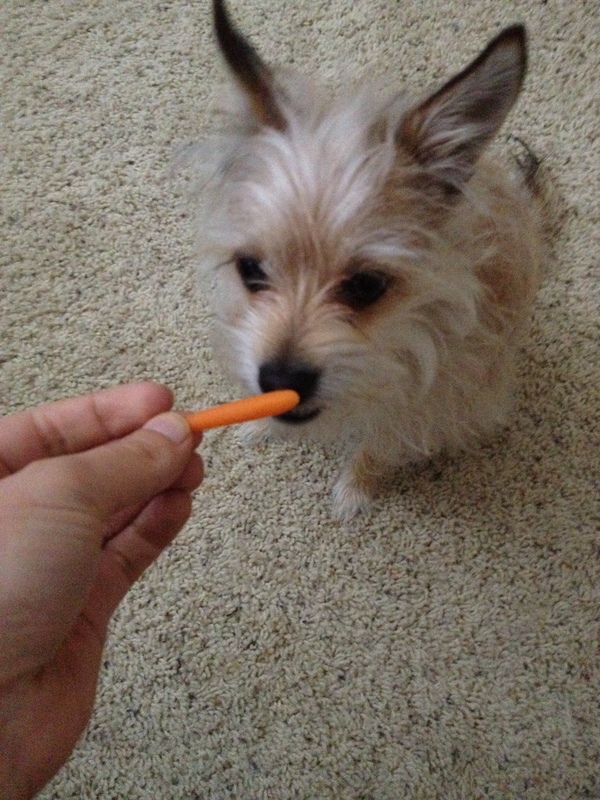 The only problem I have with these healthy snacks is having to share them with my miniature dog who has a thing for baby carrots. Warmer weather also makes salads more appetizing, and I love mixing up my salads to make them more interesting. I’ve found that making healthy food seem like something I actually want to eat, makes it easier to choose over heavy, calorie-laden food. 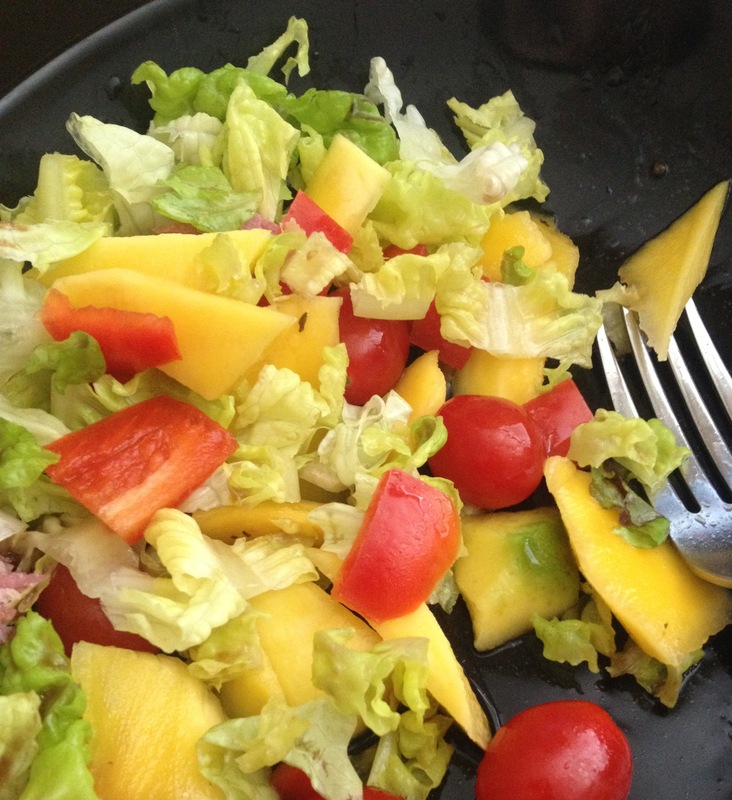 Now that mangoes are coming into season I love adding them in salads because the mixture of sweetness and tartness is really delicious. I don’t like store-bought dressing because there are too many ingredients on the label, so I like to make my own simple version of either lemon juice or apple cider vinegar, and a bit of olive oil.